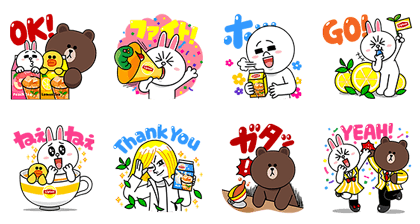 http://www.line-stickers.com/ – TEA-riffic New Lipton Tea Line Sticker | Enjoy delicious new reformulated Lipton tea, and get an additional treat for your LINE chats too! Simply purchase a participating product, and enter its serial number to get stickers! Available till June 15, 2015. Copyright : Copyright © MORINAGA MILK INDUSTRY CO.,LTD. Previous post Get to Work with LINE!